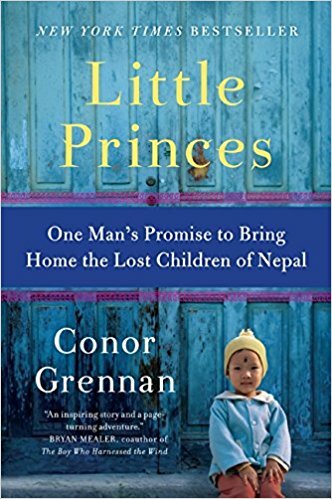 Conor Grennan’s journey started with a two-month gig volunteering at an orphanage in Nepal and ended years later with the founding of a non-profit, raising funds and securing a home for at-risk children, and finding the parents of every last child he met that had been trafficked and sold during the civil war. This is a beautiful memoir about a regular guy whose experiences with children in Nepal cracked open his heart and shaped his life and purpose. You’ll find fun, adventure, heartbreak and insight into Nepal’s beautiful country, culture and people. It’s life-affirming and hopeful. Ordinary people doing extraordinary things. I like that. I like that very much.